Pioneers in the industry, we offer nickel plated copper wire, nickel clad copper wire, copper nickel wire and soldering copper wire from India. 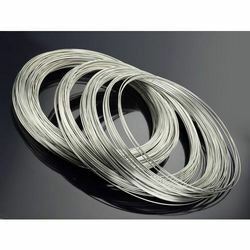 For keeping the track with the market development, we believe in continuous research and improvement of our product that helped us to offer supreme quality Nickel Plated Copper Wire. This is capable of enduring temperature extreme thus finds its application in wide domain such as home appliances, lighting equipment, transformers and other electrical appliances. 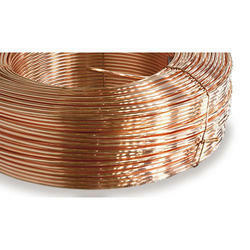 This product is well tested and optimum quality of copper is employed. We offer our product at market-leading prices. 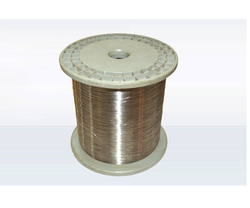 Our firm specializes in providing a wide array of Nickel Clad Copper Wire used extensively by various electronic industries. Owing to its features our product has earned good fame in the market. Manufactured with best copper and tested on all the quality parameters, our product is available at very budget-friendly price. The offered product is stringently tested by our quality controllers in order to dispatch flawless range at clients end. Our innovative and qualitative approach imbibed with our expertise in the sphere of manufacturing, exporting and supplying Copper Nickel Titanium Wire has positioned ourselves as the outstanding leader in the industry. The copper used in the process are top-grade and our adept professionals have tested our product in adherence to the relevant quality parameters. Our offered range can be customized as per the requirement and available at very reasonable prices. We are the largest manufacturer, exporter and supplier of the Soldering Copper Wire. In the manufacturing process of our offered range we have used the finest quality of raw materials. Our skilled quality professionals have tested it against the pre- defined quality parameters to assure best quality product at our client's end. Our wire is widely used in submersible motors. We are pleased to offer our product at industry-leading prices.